Porto Katsiki beach in Lefkada. Beach boat. Car. When Greece is marketed, it is usually with pictures from five places: Acropolis in Athens, Santorini, Shipwreck beach on Zakynthos, Myrtos beach on Kefalonia and Porto Katsiki on Lefkada. 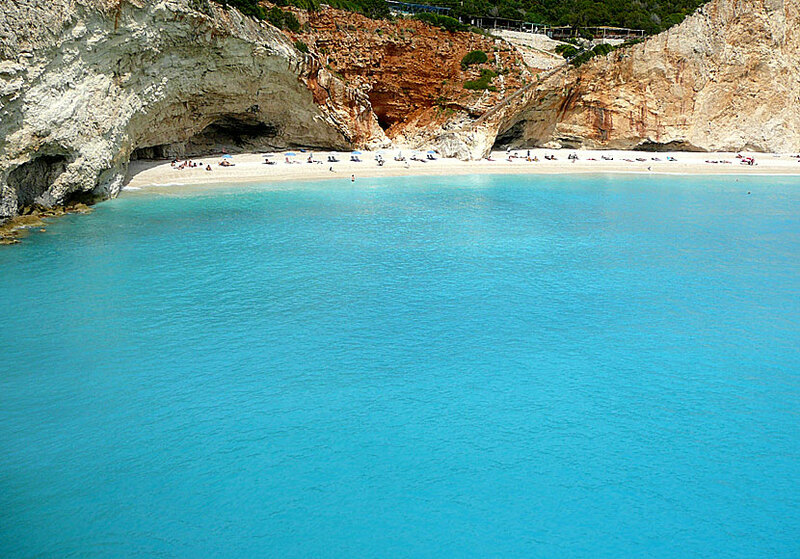 So if you've never been to Greece or to Lefkada, you've for sure seen pictures from Porto Katsiki. It is not strange that Porto Katsiki is used in marketing, the view overlooking the beach is absolutely stunning. 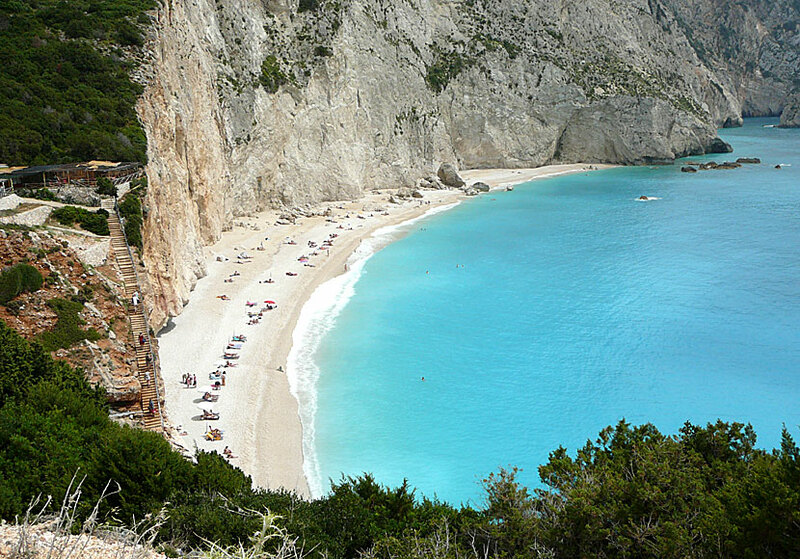 Porto Katsiki is one of the most photographed beaches in Greece. Before we went to Lefkada for the first time, a good friend told me that when you get out from the water in Porto Katsiki you will think that your body has been coloured blue from the deep blue water. I laughed at him, but the laugh was stuck in my throat when I threw myself into Porto Katsiki's blue water, it was so light blue that it looked like paint. Wonderful Porto Katsiki on the west coast of Lefkada. 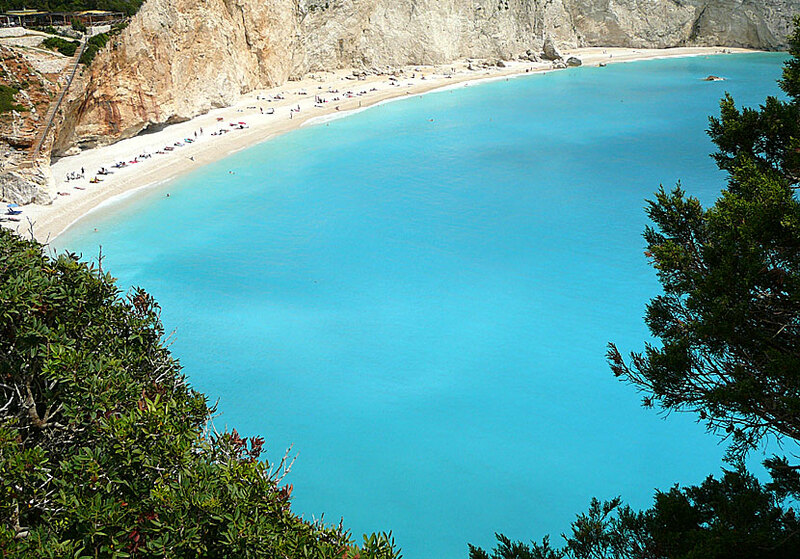 In short, Porto Katsiki is one of Greece's coolest beaches and nobody leaves Lefkada without a swim here. If I have to say something negative about this paradise, then it would be that there is always a great many people on the beach. If you want to avoid crowding you should arrive early in the morning before the excursion boats arrive. Porto Katsiki is located approximately 16 kilometres from Vasiliki and about 35 kilometres from Nidri. You get here by excursion boat or with your own transport. It costs about 3 € to park the car in the parking lot above the beach.